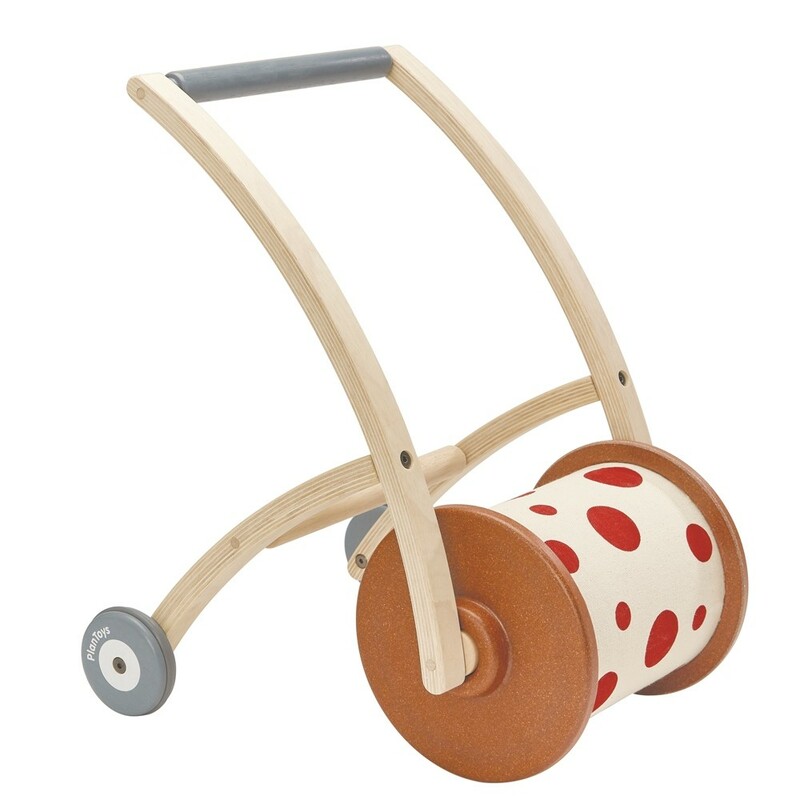 This wooden baby walker is a clever wooden toy for your toddler that converts into a push along as they grow. The height is adjustable to last for longer as your toddler grows and the spotty roller has a bell inside that jingles as the toy is pushed along. Little tots will love the ringing bell - the prospect of more jingling will encourage them to walk further. The handle of this stable baby walker can be fixed at two heights and that the rear wheels can be unscrewed once little ones are more steady on their feet. This eco baby walker makes a great first birthday gift and encourage children to take their first steps and keep on moving. 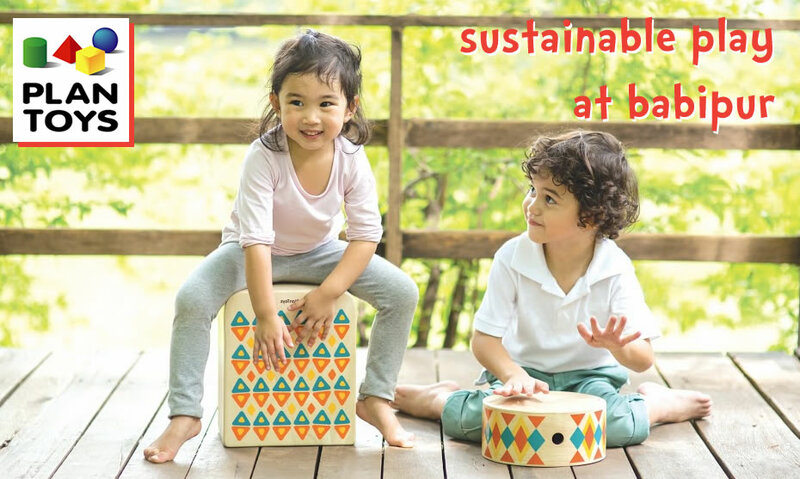 Ethically made from sustainable materials, this fair trade toy will be a hit with green parents. The handle and roller are made from natural, sustainable rubberwood. The disc ends of the roller are made from Planwood. This toy is suitable from 10 months and measures 51cm x 35cm x 38cm.